Bitcoin’s value has passed USD 7,000, having appreciated by around 900% in the last year. 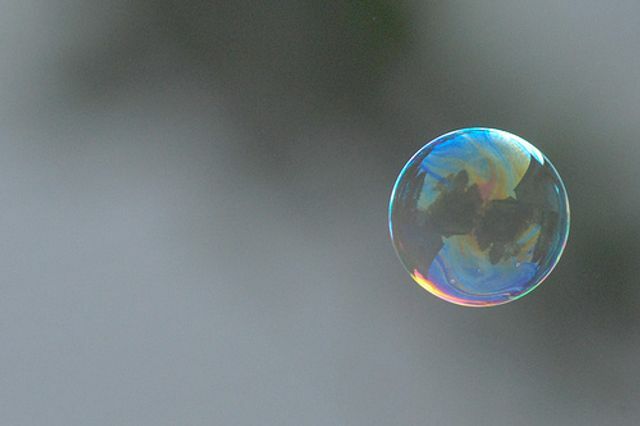 Detractors say the explosive growth is characteristic of a speculative bubble, while backers claim that this merely reflects an awakening to the growing potential of blockchain to transform economies in its image. The backers have a point: the event that pushed the price over this threshold was the announcement that the derivatives giant CME Group would launch futures contracts for bitcoin, removing barriers for institutional investors to buy into the currency. The technology certainly has the potential to support a whole ecosystem of businesses and applications: the most common metaphor compares today’s nascent blockchain technology to the internet or Linux in the mid-1990s. But with surging demand and huge returns for bitcoin and other cryptocurrencies, the frenzy appears to have attracted less scrupulous operators that could damage popular perceptions of blockchains. Since early this year, regulators around the world have raised concerns about Initial Coin Offerings, or ICOs. They are a way for blockchain startups to raise money by selling rights to their own currencies, effectively offering a stake in the infrastructure of their product. They’ve been hailed as a method of bypassing traditional venture capital gatekeepers, and have funded the bewildering array of blockchain start-ups that are accelerating innovation and competition in the field. However, for every credible project, there’s a suspicious looking get-rich-quick scheme. Currencies endorsed by celebrities like Paris Hilton, DJ Khaled and Harry Redknapp have drawn the most publicity and derision. Projects with few users, little infrastructure and threadbare business plans have attracted millions of dollars in funding, suggesting that at least some backers will lose out if the field winnows as this space matures. The biggest ICO of all, for a startup called Tezos, has been hamstrung by governance disputes and rumours that the SEC is considering a probe into its fundraising exercise. Its backers are expecting returns on the USD 232mn they paid for digital coins that will not exist until the system goes live. China and South Korea already banned ICOs last month, and regulatory actions elsewhere could leave buyers in the red. Furthermore, if cryptocurrency values follow the classic bubble profile that bitcoin and others have displayed this year, then all bets are off. Millions of people would see the value of their digital wallets dissipate, and with it much of the credibility of ICOs. Approximately 90% of blockchain fintech investment has gone into B2C propositions. Insurers and banks want to establish better relationships with customers based on building convenience and peace of mind into their products. Blockchains’ features ensure bulletproof data integrity, identity management and security, and offer customers better control over their data. If a drumbeat of stories of scammers and scandals hits newsstands, the ability to sell a product based on blockchain functionality could be damaged. Most consumers are only dimly aware of bitcoins and blockchains, so any fallout from the ongoing ICO saga threatens to set negative perceptions, representing a reputational risk to the blockchain “brand”. Financial companies want to use blockchains to rebuild customers’ trust in them, but may find themselves working to rebuild customers’ trust in blockchains.